Come fall, new baking books arrive on our shelves every single week—and I love this moment. After Seattle summers, I’m ready to turn on the oven again to make cookies for the kids’ lunchboxes and simple cakes for after school snacks. And my customers at Book Larder? They don’t say no to samples from baking books, the smell of fresh cake or spices beckoning as they enter the shop. You’ll like this book if: If the idea of laminated and yeasted doughs makes you want to run screaming from the kitchen. Ptak’s bakery kitchen is tiny, so she had to come up with clever ways to make simple yet sophisticated baked goods that are ready quickly. Also grab this book if you want to dabble in flours like rye and buckwheat without leaving good old all-purpose behind. The standouts I’ve made: The Cinnamon Cardamom Buns are a revelation: Light and fragrant and on the table in 90 minutes—without rising and folding. The Yellow Peach Crumb Bun evokes the yellow box mix of yesteryear, but now with ingredients we have in our pantries. They’re so good, my son’s teacher actually sent me a thank you note after he took it to school for a class breakfast. The Butterscotch Blondie is so rich and buttery, the pieces don’t need to be huge. But one batch of the Caramel Shards used to top the blondies makes enough for two batches of blondies, so just pop the leftovers in the freezer and when you’re ready to make the blondies again (it will happen), grab the shards from the freezer and you’re about 45 minutes away (not including cooling time) from another batch. 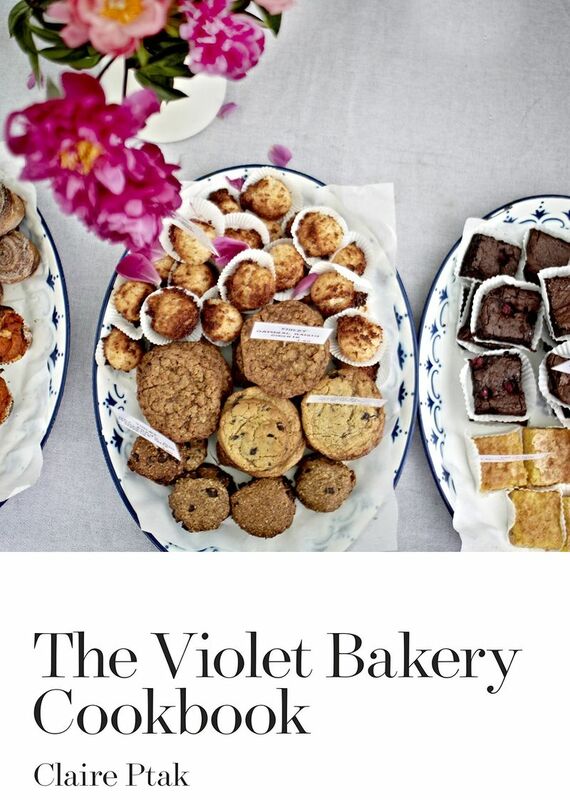 Next on my must-make list: Savory sections of baking books can sometimes be afterthoughts. Not here: I can’t wait to make the Squash, Brown Butter, and Sage Quiche and the Sour Cream, Chive, and Feta Scones. More: See inside the author's kitchen. 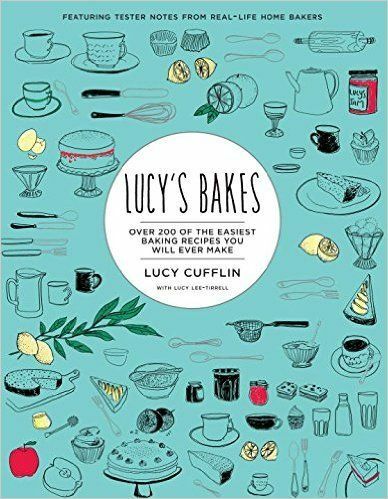 Who won’t like this book: Over-achieving bakers who are only interested in projects that take minimum two days. 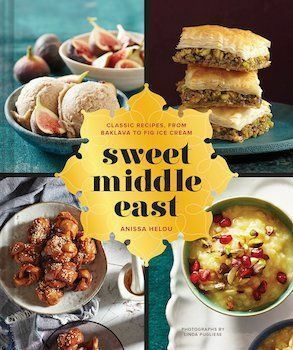 You’ll like this book if: You want to bake with all those Middle Eastern flavors you’ve been cooking with lately. 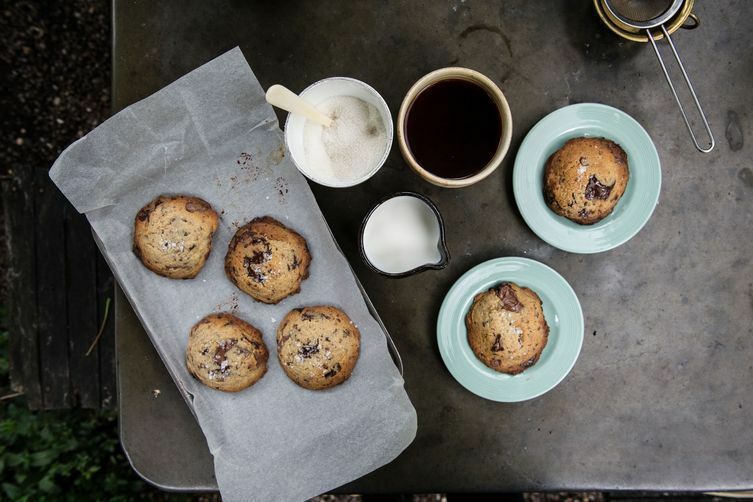 And if you think of baked goods as something you like to enjoy throughout the day, rather than confining them to breakfast and dessert. The book is organized by time of day (think “Midmorning: Elevenses” and “Before Sunset: Teatime”). The standouts I’ve made: The Peach, Vanilla, and Fennel Seed Mini-Loaves were a perfect portable dessert to take to a dinner party: They were beautiful to look at and the portions were easily to serving without slicing. 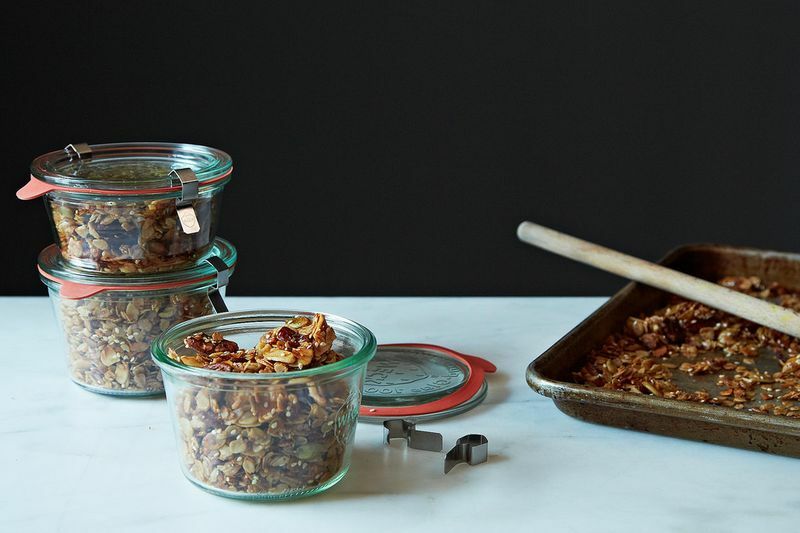 I am completely addicted to the Ashura Cereal, a blend of puffed wheat, pecans, almonds, seeds (sesame, pumpkin, and sunflower) and spices that bakes up like granola. I’m putting it on yogurt, eating it with milk, and just snacking on it out of hand. It will be my go-to hostess gift this holiday season. Next on my must-make list: While I haven’t made the Fitzrovia Buns, I tasted them at the Honey & Co bakery in London and loved their pistachio-laden sweetness. Yes, I will make the Fitzrovia Buns when I am patient enough to wait for the dough to rise. I can’t wait to make the Lahmas, savory pastries that are a bit like fluffy, mini pizzas topped with a variety of veg and meats. 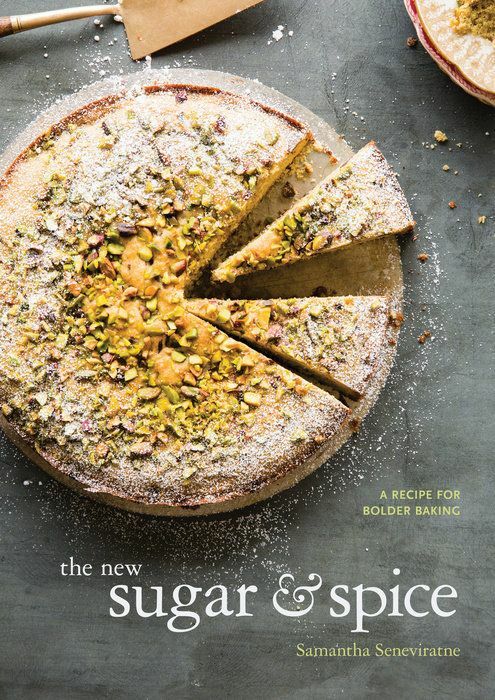 Who won’t like this book: Bakers who want straight-up sweet dishes. 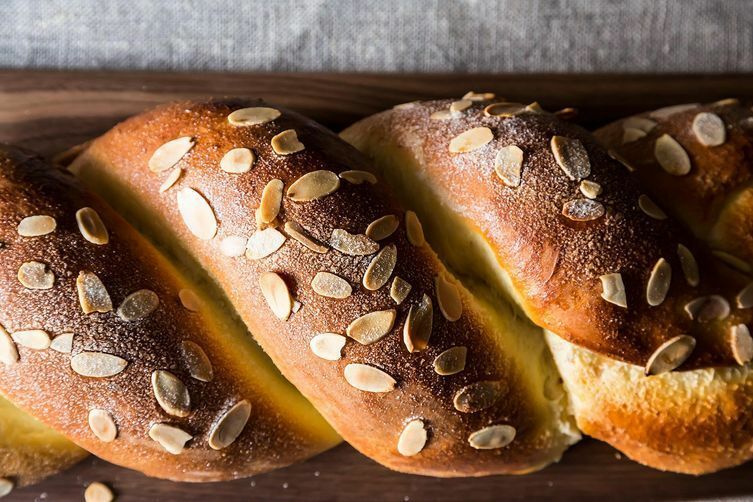 There are plenty of savory options here, and even some of the sweet dishes have a savory edge with regular use of ingredients like tahini, fennel seeds and star anise. You’ll like this book if: You are on the Scandi-bandwagon and/or love the idea of an entire meal of cakes, cookies and buns: there’s a full chapter on Mid-Summer Cake Party, which is apparently a real thing in Scandinavia. The standouts I’ve made: The Autumn Apple and Hazelnut Cake is one that I’ll come back to for years: It looks impressive despite being deceptively easy to make. The hardest part is cutting the angel-food-cake-like sponge into 3 layers. Between each layer goes Calvados, whipped cream, grated apple, and chopped hazelnuts. The result is sophisticated and, well, tall! 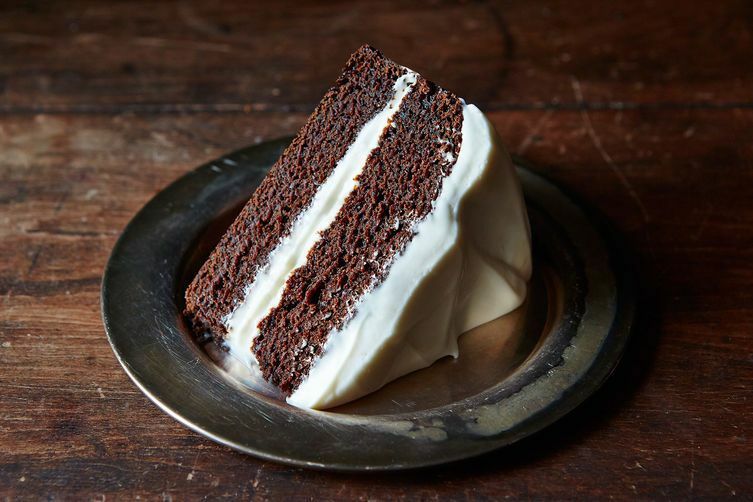 And even if you don’t cut the layers perfectly, the whipped cream filling is forgiving and makes it easy to hide a few flubs. Next on my must-make list: I can’t wait to make the Danish pastry. I’m sometimes a bit pastry-phobic as the results for the time and effort can be disappointing. But Hanneman’s level of expertise and detailed but forgiving instruction make me want to give it a go. 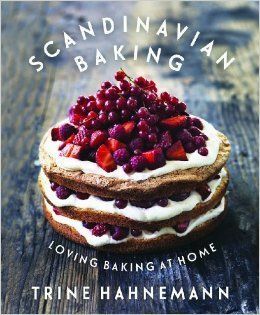 Who won’t like this book: If you already feel like you have enough Scandi cookbooks (in my shop alone we’ve put 5 new Scandinavian titles on the shelves in the past month).This book is full of rye bread, smorrebrod, and lingonberries. You’ll like this book if: You sprinkle cinnamon on your coffee (and in your hot chocolate), you add 2 teaspoons of vanilla when the recipe calls for one, and you think there’s room for cardamom in pretty much everything. 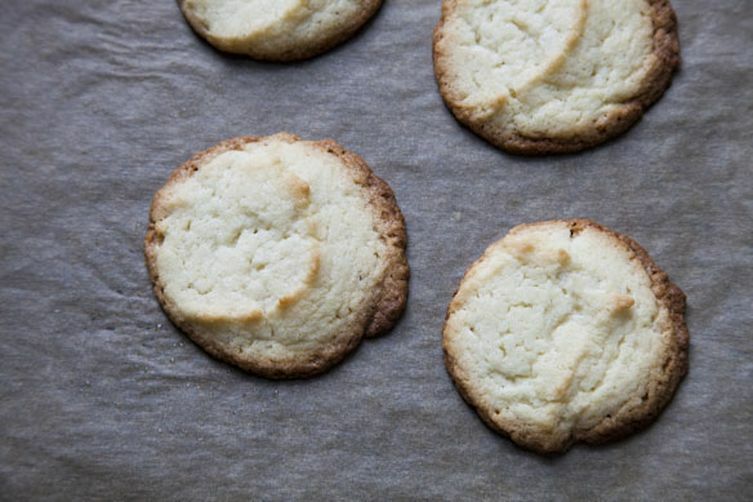 Next on my must-make list: Cardamom seems to be having a moment—and the Cardamom Coffee Shortbread and the Date Nut Cookie Pies are two ways I’d really like to bake with the spice. Who won’t like this book: If you’re cooking for people (like my kids) who just want their pancakes to taste like pancakes and their chocolate pudding to not have anything like cinnamon, then this is not the book for you. More: What's on the author's Thanksgiving table. You’ll like this book if: You are ready to take your relationship with Middle Eastern cooking to the next level. These are traditional desserts from a writer whose knowledge of the subject is deep. The standouts I’ve made: The Arabian Sponge Cake was light, very spongy, and fragrant with cardamom, rosewater, and saffron. I can honestly say I’d never baked anything quite like it before in my predominantly Western kitchen. Next on my must-make list: This time of year, it’s hard to find seasonal recipes that don’t involve spice, but the Turkish Pistachio Cake fulfills that desire, building richness with nuts and yogurt. 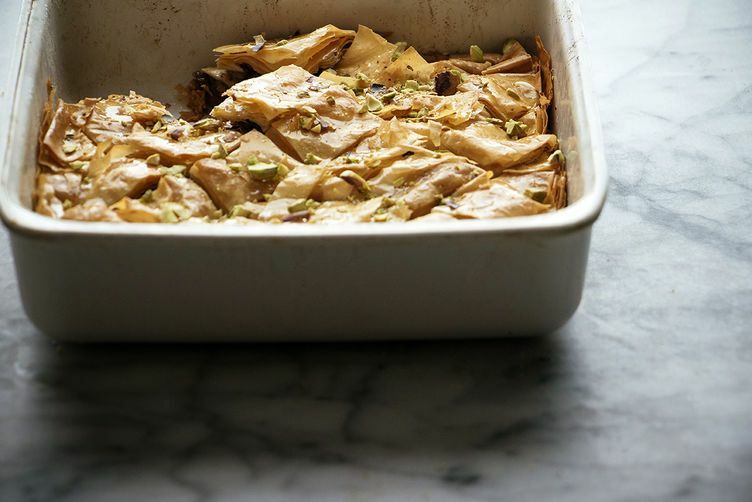 And the Walnut Phyllo Triangles are effectively single-serve baklava and will make an excellent party dessert this season. Who won’t like this book: Cooks who don’t want to seek out ingredients. In order to get the most from this one, you’ll need things like mastic (a tree resin), “hair noodles,” and rosewater. You’ll also use lots of phyllo dough and sesame seeds. If that doesn’t sound like your thing, then the next book might be a better fit. You’ll like this book if: You love the comments section of online recipes. Cufflin devotes 6 full pages to bios of her recipe testers, complete with their likes and dislikes, and includes comments from at least 3 of them in every recipe. You’ll also like this one if you are a fan of Great British Baking Show (Bakeoff) and want more Victoria Sponge and traybakes in your life. The standouts I’ve made: The Parsnip and Ginger Traybake was spicy, moist, and (as the Brits would say) “moreish.” I put samples out in the shop, and while a few customers were taken aback by the idea of parsnips in cake, the bites were gone in short order. 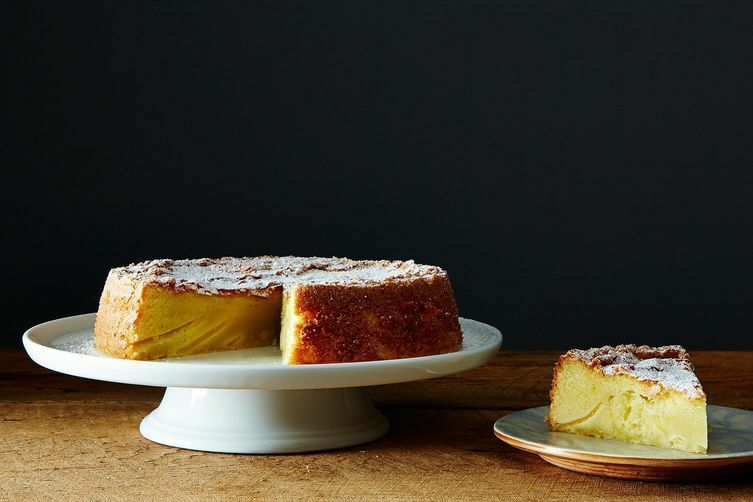 Next on my must-make list: I can’t wait to make the St. Clement’s Cake, an almond sponge that includes entire lemons and oranges blitzed in the food processor. And Cufflin has several savory bread recipes, like Parmesan Cake, that sound like great, if modern, additions to my holiday table. 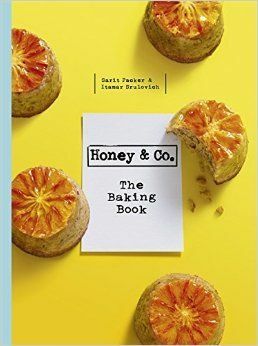 Who won’t like this book: Bakers who don’t want to use their scales. While some of the measurements are converted from weight to volume, not all of them are. There is a handy conversion table at the front of the book, but it will lead to some flipping back and forth if you don’t break out the scale. But really, I hope you’ll consider it—so does Alice Medrich. Which books are you excited to cook from this season? Tell us in the comments! Second photo by Issy Croker, fourth photo by Mark Weinberg, fifth photo by Shelley West, all others by James Ransom. Owner of Book Larder, a cookbook shop in Seattle, WA. Any recommendations for those of us who enjoy the more than two day baking projects? Like really overachiever kimd of book? Do you like to decorate cakes? If so Juliet Sear's Cakeology is great--really creative ideas with patterns and detailed designs included. I also really like the looks of Bien Cuit by Zachary Golper and Peter Kaminsky. I didn't get a copy in time to include it in my roundup, but the breads and other baked goods look great. Beyond that I'd look to Rose Levy Berenbaum's Baking Bible--putting kougin amman on the cover is a bold move. Enjoy! I'm excited for Jeanne Sauvage's latest: Gluten Free Wish List - because the rest of these are off-limits to my celiac self and because Jeanne is a wizard! English muffins! Bagels! Puff pastry!! Here I come! I agree completely, Becca--Jeanne's book is marvelous. And those bagels are SO good--game changer for people who can't eat gluten but miss their chewy goodness.